One of country's biggest stars! 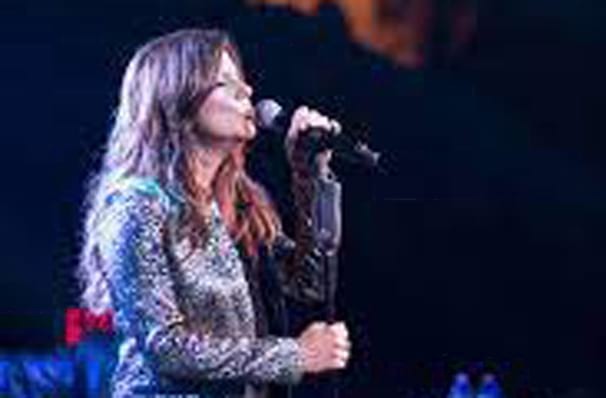 Country songstress Martina McBride tours her latest album Everlasting. Nicknamed 'The Celine Dion of Country Music', McBride's powerhouse voice and versatile soprano range brings a unique country edge to covers of Motown, Soul and RnB classics including Jimmy Ruffin's What Becomes of the Brokenhearted and Bring It On Home by Sam Cooke. Having sold over 14 million records in The US and nominated 14 times for a Grammy, McBride is comfortable in any genre; the CMA award-winning artist will also delve into her prolific back catalogue for crowd-pleasing fan favorites like Teenage Daughters and her 1992 breakthrough The Time Has Come. Sound good to you? Share this page on social media and let your friends know about Martina McBride at American Music Theatre. Please note: The term American Music Theatre and/or Martina McBride as well as all associated graphics, logos, and/or other trademarks, tradenames or copyrights are the property of the American Music Theatre and/or Martina McBride and are used herein for factual descriptive purposes only. We are in no way associated with or authorized by the American Music Theatre and/or Martina McBride and neither that entity nor any of its affiliates have licensed or endorsed us to sell tickets, goods and or services in conjunction with their events.